Right along the I-4 corridor, about 20 miles north of downtown Orlando, is the upscale Seminole County suburban city of Lake Mary. It's almost 10 square miles and has just under 16,000 residents as of 2016. However, like much of Central Florida, it's growing and developing fairly quickly, with a population increase of over 2,000 people in just five years. Lake Mary's Chamber of Commerce was founded in 1923 and is one of the oldest continuously operating Chambers in Florida. The area was mostly dedicated to the citrus industry, but starting in the 1970s, as Orlando-area development boomed around Walt Disney World, Lake Mary slowly began transforming into a bedroom community. The city was incorporated on August 7, 1973. This is a suburban area with emphasis on single-family detached housing and private yards. According to Zillow, the median home value in the city as of the end of 2018 is $286,500. However, there are a considerable number of apartments, condominiums, and rental properties to accommodate the growing population of single young professionals living in the city. 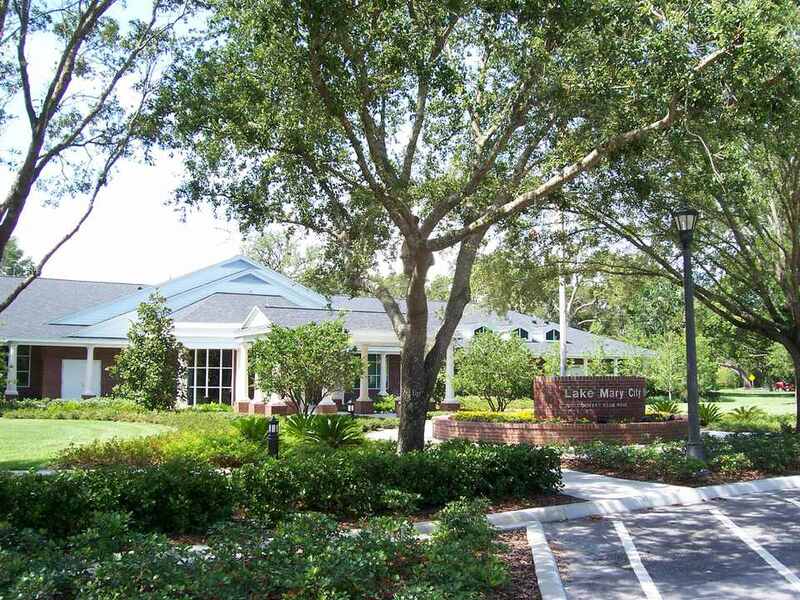 Additionally, Lake Mary has several active-adult and golf course communities serving its significant population of retirees. In recent years, paralleling the tech boom in Orlando, Lake Mary has become home to a number of tech industry companies. AAA, the Verizon Financial Center, Mitsubishi Motors, Scholastic Book Fairs, and several Orlando television stations are other significant area employers. Lake Mary and Seminole County as a whole are both known for their many excellent public schools. While not all schools are located within Lake Mary's borders, students living in the city are served by eight elementary schools, five middle schools, two high schools, and the private pre-K through 12 Lake Mary Preparatory School. Additionally, Seminole State College and the University of Central Florida have Sanford/Lake Mary campuses, while Valencia College has close campuses in Winter Park and Orlando. Rollins College and Full Sail University are also located nearby in Winter Park, and there is an ITT Technical Institute campus in Lake Mary as well. While Lake Mary provides easy access to major destinations like the Orlando theme parks and resorts, the city of Orlando, Winter Park, and Daytona Beach, there's a good deal to do even closer to home. It offers a full selection of medical and professional services, shopping, dining, golf courses, and entertainment. Economic development has boomed around the city, but particularly in Downtown Lake Mary, where residents enjoy dozens of retail shops and restaurants. The recent opening of the Lake Mary SunRail Station right down the road has spurred even more development around the site. Residents are also conveniently located close to two major malls, including Seminole Towne Center about 5 miles away in Sanford and Altamonte Mall about 10 miles away in Altamonte Springs. The Central Florida Regional Hospital in Sanford is the closest major hospital for Lake Mary Residents. However, Florida Hospital is slated to open a freestanding emergency room in the city in 2016. There is also a Nemours Children's Specialty Care pediatric center in town. Lake Mary residents are served by the nearby Sanford Orlando International Airport in Sanford, as well as the major air travel hub in Orlando, the Orlando International Airport, or MCO. UCF's Downtown Orlando Campus Is Coming!